This training course is designed for the practitioner interested in the ultrasound evaluation of the non-gravid pelvis. Lecture includes basic physics, image orientation, and knobology. Transabdominal and transvaginal pelvic ultrasound exam. Evaluation of uterus, endometrium, and ovaries to assess for anomalies or pathology causing infertility. Characteristics of endometrioma verses hemorrhagic cyst. It is important to have your gray scale adjusted appropriately to identify low level echoes and thru transmission. 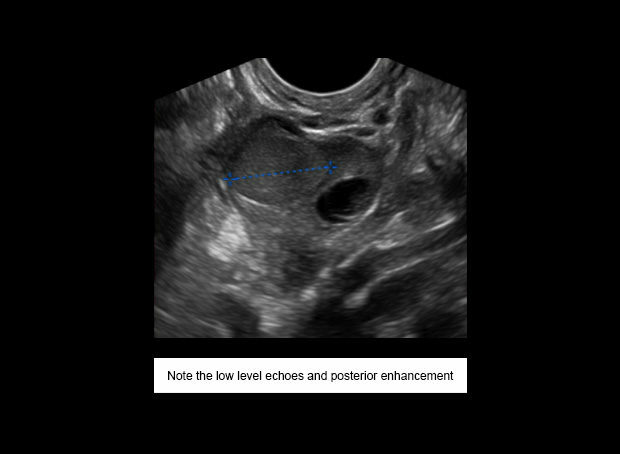 During the exam, the sonographer identified a mass on the left ovary. 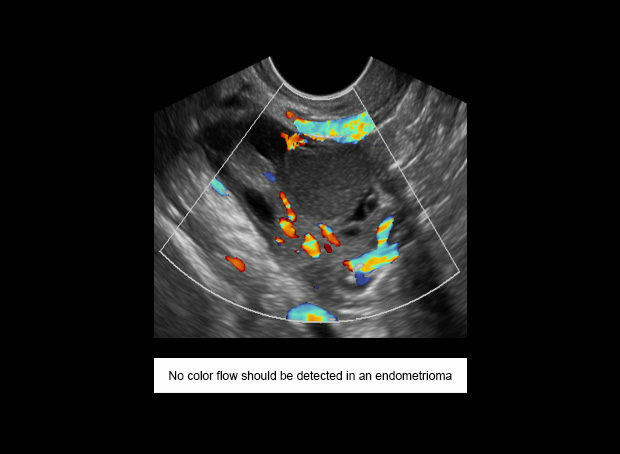 This mass has the classic characteristics of an endometrioma. It contains low level echoes, posterior enhancement and is avascular. The patient was scheduled for a 6 month follow up and the mass remained unchanged. This is another indication of an endometrioma rather than a hemorrhagic cyst which reduces in size over time.